When we are cleaning our ears, the temptation is to try and get as much earwax as possible in order to improve hearing and to feel cleaner. However, a Q tip is extremely small, which can be dangerously tempting for us to shove too far into the ear. This can cause it to get stuck inside the ear, and if pulled, the cotton wool tip and come off the end, and get stuck inside the ear, which can cause all kinds of problems. Equally, pushing the Q tip in too far can perforate the ear drum which is insanely painful and can lead to a loss of hearing and problems with balance. 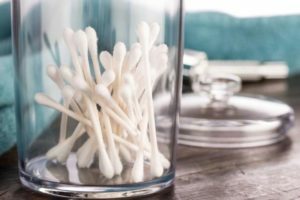 Although you may think that you are cleaning your ears effectively, because the Q-tip comes out covered in earwax, earwax is there for a reason. It helps to catch foreign objects and bacteria trying to enter the ear. While earwax should drain effectively, a little at a time, clearing that bacteria, when our ears become blocked, we are tempted to dig away with a cotton wool bud. This can push the earwax further into the ear, along with all the bacteria that it has collected. 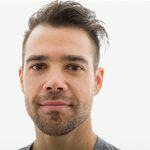 This can lead to nasty ear infections, while also running the risk of damaging the eardrum and the canal, which can lead to other temporary or permanent problems with hearing. 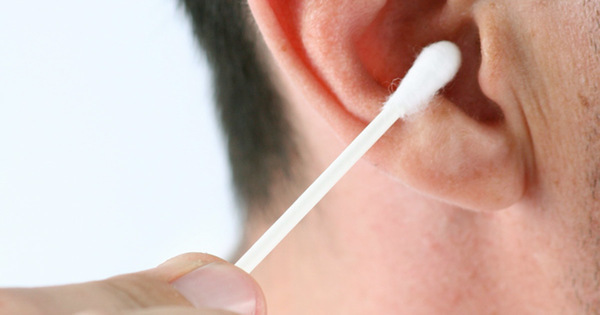 When we push the Q-tip into our ear, the very end gets covered in wax, as though we imagine the wax is just collected around the edges of the ear canal. However, there is far more wax inside than people realize. When a Q-tip is pushed in, it compresses the wax further down, hardening it, creating the equivalent of a crayon, which can push on the eardrum, creating issues. When we clean our ears out, it may unblock them for sound, but it actually clears away the earwax which serves to protect the ear. A nice clean ear may seem handsome to look at, and may even appear to give you better hearing, but it leaves the ear open to infection. A very sensitive organ that monitors balance as well as helping you to hear, the ear needs the wax so that microscopic bacteria do not enter to canal. Earwax works as a self-cleaning agent and therefore does not need to be addressed. If you find that earwax is draining from the ear, feel free to clear any wax around the hole, but you should never put anything inside. The best way to clean your ears is in the shower with soap and warm water. The warm water will melt excess wax on the outside, and you can towel this off after by pressing against the ear gently creating a vacuum effect.